The perfect lesson plan. The perfect unit. The perfect curriculum...all perfectly executed. Bad news: it will never happen. Why? Because things get lost in the process. I’m not saying that perfection is a bad thing. It’s simply a ridiculously high metric to hit. Why not aim for efficiency? Why not aim for beauty? See, there’s so many yardsticks that can be nebulous (at best) when one tries to define what these objectives actually mean. Aiming high is a good strategy, but there is a fine line between striving for perfection and just doing good work. 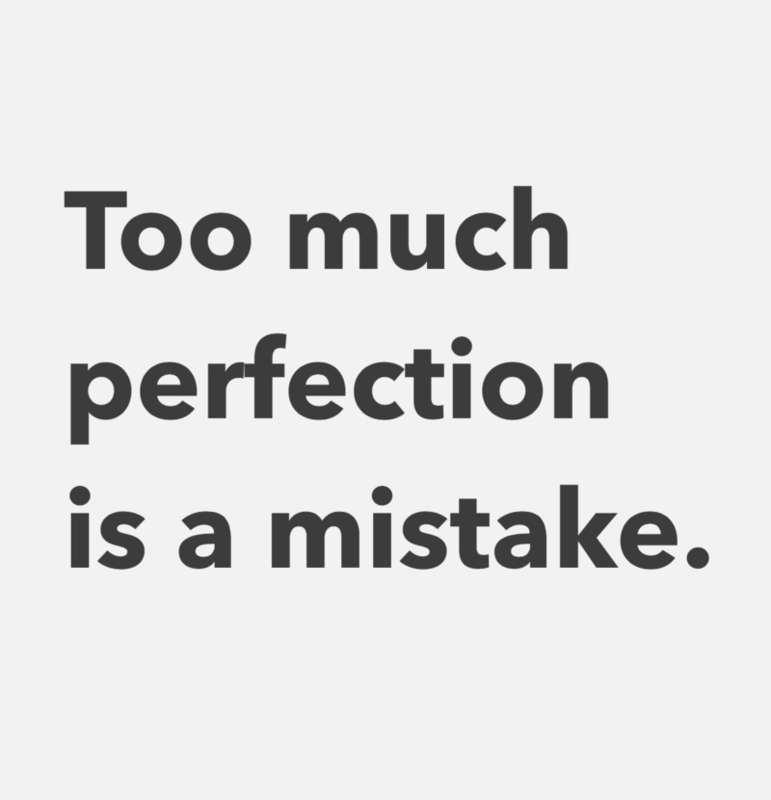 If one only strives for perfection, what gets lost in the process? Why not just breaking things, and examine what was learned in the process? If everything is perfect, you’re doing it wrong.